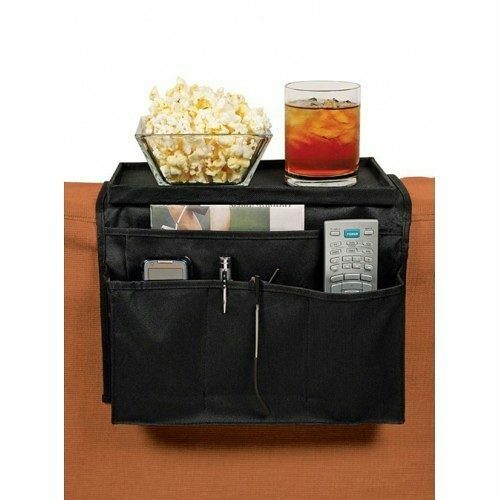 The Original National TV™ Products - 6-Pocket Arm Rest Organizer Only $9.99 Plus FREE Shipping! You are here: Home / Great Deals / The Original National TV™ Products – 6-Pocket Arm Rest Organizer Only $9.99 Plus FREE Shipping! The Original National TV™ Products – 6-Pocket Arm Rest Organizer Only $9.99 Plus FREE Shipping! Never lose that pesky remote again, with this awesome deal on a 6-pocket arm rest organizer! The Original National TV™ Products – 6-Pocket Arm Rest Organizer is Only $9.99 Plus FREE Shipping can be used for remotes, pens, notebooks, program guides, and more; you’ll always have everything you need!